We fix all types of computers! PC Laptops are unlike their Macbook brethren and can be made to meet custom specifications much easier. However, what makes them great can also be tougher for us to deal with. 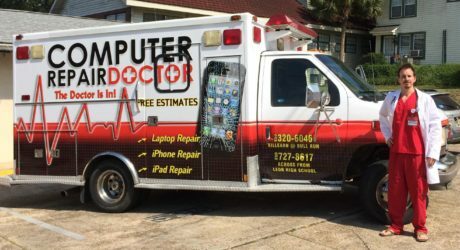 We fix all types of computers, including PC Laptops! 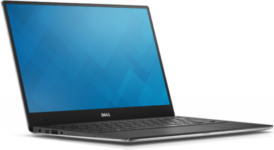 But since there are so many different types of PC laptops and a million different ways you can customize it, there are more potential problems to have. Once we get it in the shop though, we'll figure out what's wrong and give you estimates for the price and the turnaround time before you pay a dime. PC Desktops were the building block upon which we created laptops. Now, they are much more sophisticated. A PC Desktop is the most customize-able and upgrade-able of the main types of computers. People literally can build their own now out of parts they order online and make sure are compatible with each other, which means there are almost endless possibilities! This means that there can be weird software glitches and compatibility issues that arise. If you have a store-bought desktop, that shouldn't happen but then they still have all the other potential hardware and software failures. They can be very reliable machines, but when something is wrong with it we know you need to have it fixed ASAP. Macs and Macbooks are incredibly reliable machines, but that doesn't mean that nothing can happen to them! 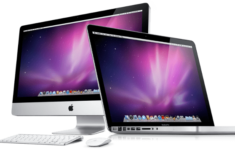 Macs are great machines that are trustworthy and dependable. That stereotype has existed since the early 2000s and it remains true today. But since they are "All-in-one" machines that means that if something goes wrong with them, you probably need to give us a call. Since there are less variations of Apple computers out there, we have a lot of experience dealing with them and are very likely to have your part in stock if you need one! We offer upfront and flat rate pricing. No hourly rates, no undisclosed fees. We'll look at your PC or Mac's problem, give you a quote, and that'll be the price. Straightforward? That's exactly how we operate. As you'd suspect, we get this question a lot. The short answer is - We don't know until we look at it. We'll give you a FREE Quote for repair, so you can compare the repair cost to the cost of a new desktop. Repair too expensive? No problem, you'll owe us nothing but a smile. We wish we could give you a better answer on our website - but it depends. Not only on the type of repair that you need, but on the type of computer that you have, whether we have the parts in stock (more relevant for our PC customers since there are so many models), how difficult it is to open up your machine, etc. If you want to give your local store a call, or bring your computer by, we can definitely give you a better answer! "Great trustworthy group of people to fix your hardware if you're in Davie." "Great experience! Quick, efficient, and fairly priced." "Excellent customer service! Very friendly, and helpful. I was a walk in customer that needed to fix my laptop hinge that was not working properly. I highly recommend this store if you should find yourself in need of a repair." 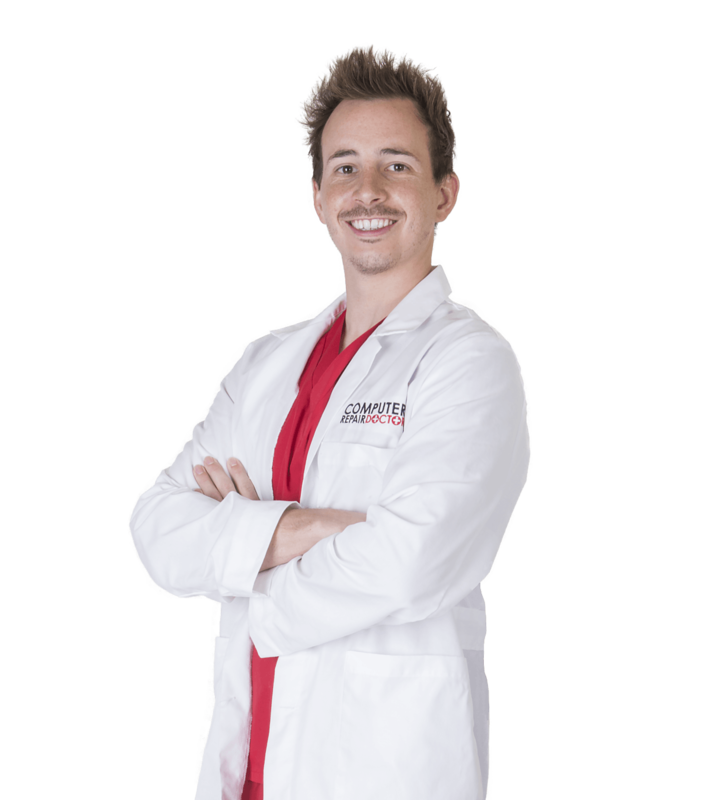 "Stephen was top notch and diagnosed quickly the issue with my laptop and provided exceptional service." "Very satisfied! I needed it fixed fast because I was going away and they did an excellent job in a fast time frame. The store is clean and organized, and good costumer service. Highly recommend!!!" "Rep was very knowledgeable about my computer and parts needed , repair was done in a day and pricing was one the best because I had called around before . If needs be I'll definitely be a return customer and would recommend them to everyone in Davie needing repair services. Thanks guys"